Last week we wrote in this blog about the family of a woman from Birmingham, Alabama, Jackie Fox, who successfully sued Johnson & Johnson after linking her use of their talcum powder products to her ovarian cancer. The family of Ms. Fox obtained a 72 million dollar verdict. However, Ms. Fox and her family were not the first in the United States to bring a lawsuit alleging these products caused ovarian cancer. That distinction belongs to a South Dakota woman named Deanne Berg. Ms. Berg, wrote a very interesting story this week in the New York Post that detailed her struggle after being diagnosed with ovarian cancer in January of 2007. You can access the full story here. 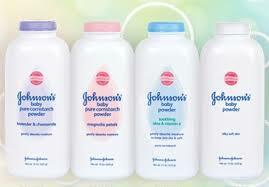 Ms. Berg had used Johnson & Johnson Talc powder for more than 30 years. She recalled the marketing for Johnson & Johnson’s Baby Powder and Shower to Shower as a feminine hygiene product when she first began using the products as an 18 year old. Tag lines such as “A sprinkle a day helps keep odor away,” and another that stated, “Your body perspires in more places than just under your arms.” She, as millions of others, felt that the use of these products to be perfectly safe. However, once she was diagnosed with ovarian cancer, she began to do research, and, to her surprise, found several studies that had long linked talcum powder use and ovarian cancer. Some going back decades. Ms. Berg sued Johnson & Johnson, and in 2013, turned down a 1.3 million dollar settlement offer because she refused to sign a confidentiality clause, as she wanted other women to be aware of the risks associated with using talcum powder products. The case eventually went to trial, and though the jury found the talcum powder products to be a factor in her condition, they awarded her nothing in damages. Though after last week’s verdict, Ms. Berg seems to feel some vindication. She writes that her case “paved the way for plaintiff lawyers to bring claims for hundreds of women who blame their ovarian cancer on exposure to talcum powder.” Ms. Berg, like a growing number of people across the country, feels that no woman should have to go through what she and many others have endured, as a result of talcum powder use and that it should be taken off the market. Moreover, until they are taken off the market, she believes talcum powder products should be clearly labeled with warning of the risks association with its use. If you have a free moment, I would encourage you to read Ms. Berg’s inspiring story. The Suthers Law Firm is continuing to investigate claims on behalf of women who have developed ovarian cancer. If you, a loved one, or someone you know has been diagnosed with ovarian cancer after frequent use of baby powder containing talc, you may be entitled to compensation. Contact the defective product attorneys at Suthers Law Firm, www.sutherslaw.com, or call toll free 1-800-320-2384 for a free consultation.